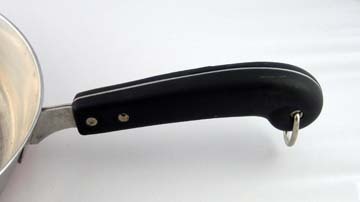 Unfortunately, because of the limited number of pieces that have this type of handle, we don’t sell a replacement. However, from time to time (like the ones above) they do appear on eBay. 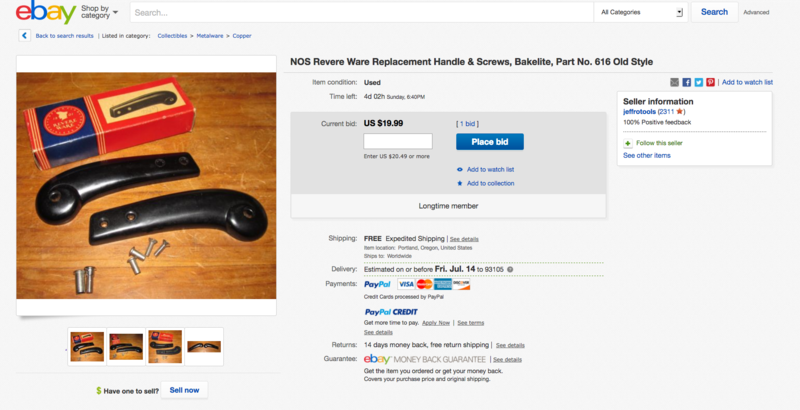 The key is to save a search on eBay like “Revere Ware handle) such that it will email you new matches. 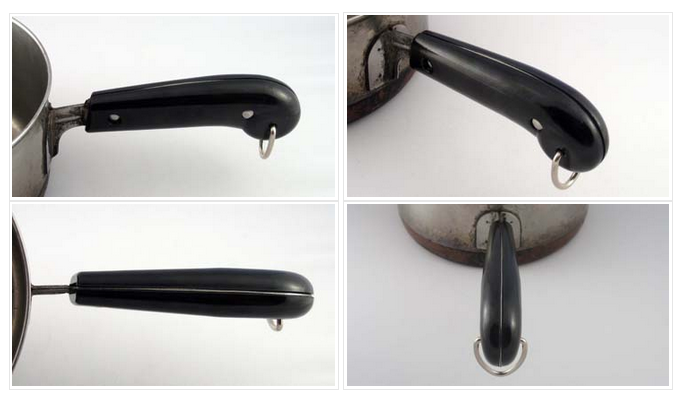 For the less patient, we have a guide to adapting our handles to this style of cookware. For the more ambitions, you could grind down the metal spline to get a perfect fit.